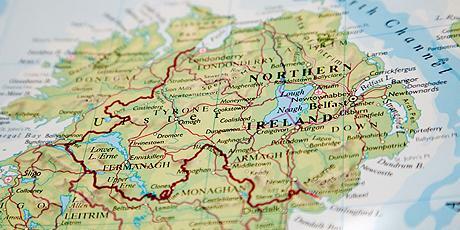 This post looks at some of the issues in Northern Ireland. The post-Brexit border question remains unresolved. Considerable concern exists over the absence of a functioning Northern Ireland executive and Assembly both of which are key elements in the 1998 Good Friday Agreement. The post also looks at some criminal justice questions including the continuation of non jury trial in some situations. The question of the border between Northern Ireland and the Republic of Ireland continues to be unresolved in Brexit negotiations. 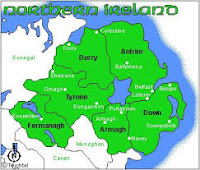 Post-Brexit there will be a land border between Northern Ireland (non-EU) and Ireland (EU member State). It has been argued that any return of a "hard border" will damage the Good Friday Agreement peace process and that sectarian violence could return - Business Insider UK - 2 April 2018. How this issue will be resolved - if at all - remains to be seen but a return to a controlled border will be inevitable in the event that the UK leaves the EU on 29 March 2019 without a withdrawal agreement in place. Ireland has held a referendum in which the majority voted to remove the offence of Blasphemy from their law - The Observer 27 October 2018. The referendum saw 64.85% vote yes to remove the offence of blasphemy, with 35.15% in favour of retaining it. A total of 951,650 people voted for the change, with 515,808 opposing the move. 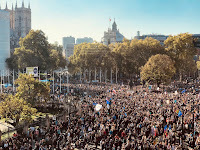 The decision on a turnout of 43.79%, was the latest reflection of seismic social and political changes in Ireland, which the Taoiseach, Leo Varadkar, has described as a “quiet revolution”. 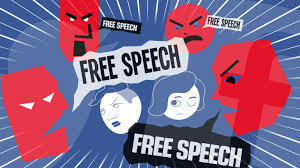 In 1985 the Law Commission for England and Wales recommended the abolition (without replacement) of the common law criminal offences of Blasphemy and Blasphemous Libel - see Offences against Religion and Public Worship. 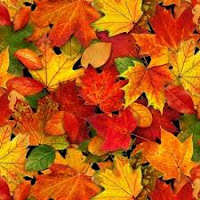 During the dry summer of 1976 Carol Ann Park, the wife of Gordon Park, went missing. In August 1997, a body was discovered by divers in Lake Coniston. Using dental records, the body was identified as Carol Park. She had suffered a brutal death. Her body was packaged carefully inside two bin-liners, a canvas bag and a large holdall and weighted down. Gordon Park was arrested and charged with the murder. He was remanded in custody but released when the charge was discontinued in January 1998 due to there being insufficient for a realistic prospect of conviction. 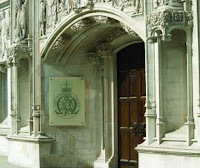 On 23 October, the Court of Appeal (Civil Division) imposed an INTERIM injunction in favour of unnamed appellants (referred to as ABC) to prevent The Telegraph publishing what they claimed to be confidential information about them which had been disclosed in breach of confidence - ABC and others v Telegraph Media Group Ltd  EWCA Civ - Sir Thomas Etherton MR, Underhill and Henderson LJJ. The appellants are two companies in the same group and a senior executive of that group. Employees of companies in the group alleged discreditable conduct on the part of that senior executive. On Tuesday 23 October, Mr Stephen Yaxley-Lennon (aka "Tommy Robinson") attended at the Central Criminal Court ("the Old Bailey") for his trial for contempt of court - see The Guardian 16 October and Daily Mail 21 October. The trial was listed before the Recorder of London, His Honour Judge Nicholas Hilliard QC. This new trial was ordered by the Court of Appeal (Criminal Division) on 18 July 2018 when Mr Robinson's conviction at Leeds Crown Court for contempt was quashed - previous post 1st August 2018 and also see previous posts 1 June 2018 and 5 July 2018. By the date of the Court of Appeal hearing on 18 July, Mr Robinson had been in prison from 25 May - some 55 days. The European Council met in Brussels on 17-18 October 2018. The Mains Results of the meeting are set out HERE. See the short video in which Donald Tusk (EU Council President) states that the Council would consider extending the transition period if the UK government thought that would be helpful. The next Council meeting is scheduled for 13-14 December 2018 and will be held in Brussels. Regarding Brexit, leaders declared their readiness to convene a European Council, if and when the Union negotiator reports that decisive progress has been made in the negotiations. Prime Minister's statement in the House of Commons regarding the EU Council. 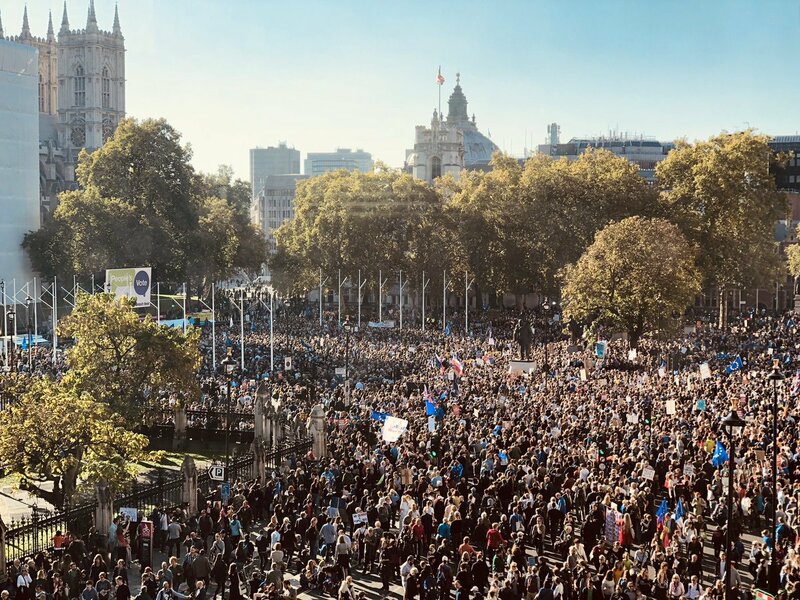 Meaningful vote on a withdrawal agreement? It is not too often that the House of Commons Procedure Committee gets a great deal of notice. The Secretary of State for Exiting the EU wrote a letter (dated 10 October) to the committee which seems to have ruffled some feathers. The letter came in response to a request from the committee for the government to contribute its views to the committee's inquiry into the procedure to be applied to the vote provided for in section 13(1) of the European Union (Withdrawal) Act 2018. Brexit negotiations have come to a pretty pass with the principal outstanding issue being the Northern Ireland border and the so-called "Backstop" question. (Or even the backstop to the backstop)! The Prime Minister made a statement about Brexit Negotiations to the House of Commons on Monday 15 October 2018 - see statement and debate. The three men convicted of public nuisance in connection with their protest against "fracking" at a Cuadrilla site near Preston have had their sentences of imprisonment quashed. Whilst The Guardian reports that the men "walked free" this is not strictly accurate. They are out of prison but they remain convicted. The Court of Appeal (Criminal Division) held that their sentences were "manifestly excessive" and that community sentences with a significant amount of unpaid work would have been appropriate. Given that the men have been in prison for three weeks, the court substituted conditional discharges for 2 years. As things stand, the UK leaves the EU on 29 March 2019 - only 168 days away at the time of writing. Article 50 of the Treaty on European Union is the mechanism by which a Member State of the EU leaves the club. 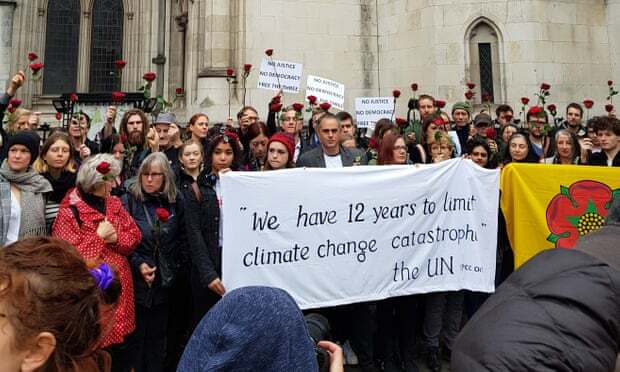 The fracking protesters ~ sentence ~ was there bias? 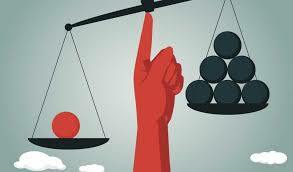 The common law has developed various principles underpinning the integrity of legal process. An example is the avoidance by decision-makers of bias. A judge, trying a case, cannot have any direct personal or financial interest in the outcome but the law goes further and seeks to prevent even an appearance of bias. One of the most famous judicial statements throughout legal history was that of Lord Hewart CJ in Ex p McCarthy  1 KB 256 - ". . . it is not merely of some importance but is of fundamental importance that justice should not only be done, but should manifestly and undoubtedly be seen to be done." The Pat Finucane Centre has highlighted a case which is before the Investigatory Powers Tribunal (IPT) - Pat Finucane Centre 4 October. 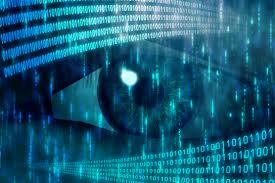 The case has been brought by Privacy International which claims that covert agents recruited by the Security Service are being authorised to carry out crimes within the UK under a policy which has no legal basis. It is said in the Claimant's skeleton argument that - "No meaningful limits have been disclosed" and "it appears that the Security Service thinks it could, if it thinks it would be in the public interest authorise participation in murder, torture, sexual assault or other grave criminality in the UK. 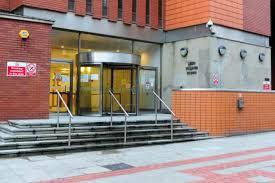 Neither the victim of the crime, the Police or the Crown Prosecution Service are notified of authorisations. In practice, this will mean that criminal conduct will not be investigated or prosecuted." It is also claimed that oversight carried out by the Investigatory Powers Commissioner is "so narrow as to be ineffective." This post is a "catch up" on a number of "Brexit-related" applications for judicial review. 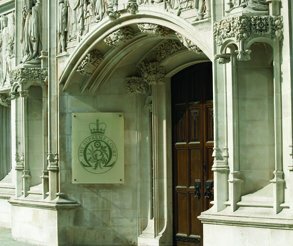 Judicial review may be described as a legal process by which the High Court reviews the lawfulness of official decision-making. The court is able to consider whether a public body has acted in accordance with its legal obligations and within its legal powers. Where legal error is found, the court is able to grant appropriate relief. 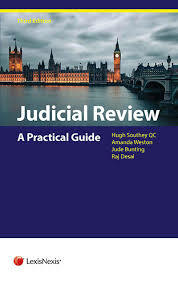 Judicial review is not a process to allow judges to replace duly appointed decision-makers such as Ministers, Local Authorities, NHS Trusts, Chief Constables and so on. The court does not entertain mere busybodies since applicants have to show "sufficient interest" to bring judicial review but there is a public interest in ensuring that the rule of law is maintained. The Supreme Court hearing on 3 and 4 October 2018 - In the matter of D (A Child) - is of particular interest because it is the first time the court has sat with a majority of female justices. The court is Lady Hale, Lord Carnwath, Lady Black, Lord Lloyd-Jones, Lady Arden. Lady Arden was sworn in as a Justice of the Supreme Court on Monday 1st October and the ceremony may be viewed here. 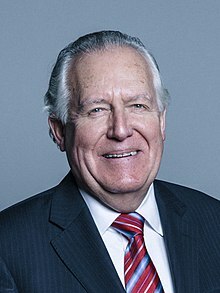 Lord Kitchin was also sworn as a justice at the same ceremony. Biographies of the 12 justices - 9 male and 3 female - may be read here. Lady Hale of Richmond - now President of the Supreme Court - was the only female to be appointed to the Supreme Court's predecessor, the Appellate Committee of the House of Lords.